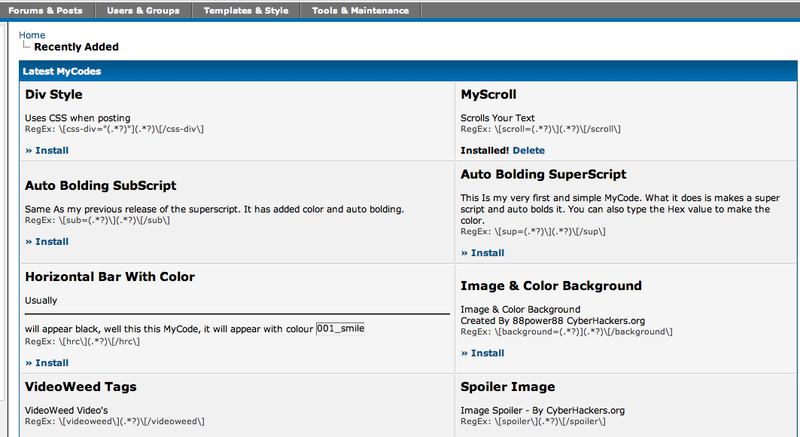 This plugin allows you to easily install any MyCode located in the MyBBSource MyCode database. 1) Upload all files, keeping structure intact. 2) Activate in Plugin Manager.